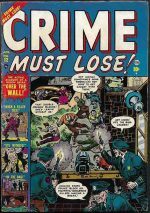 *Miscellaneous 1940-1959: Another brush with Atlas crime in this update. 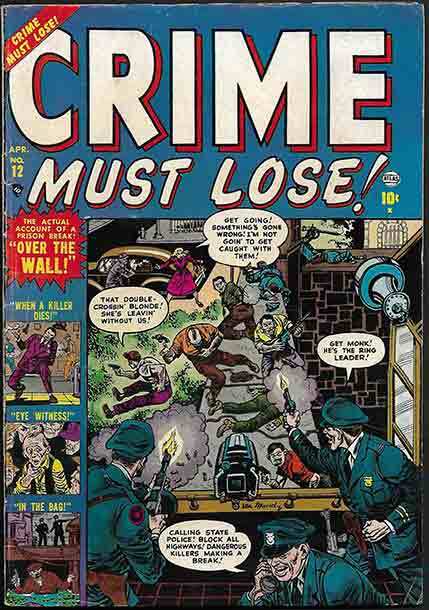 Crime Must Lose was a short run title lasting 9 issues (#4-12) from 1950-1952. Typical of Atlas tough guy crime series, and notable for having Ann Brewster art in all issues. We have 8 out of 9 issues fresh in (just missing #10) in a mixture of grades. #12 pictured FN+ £45.